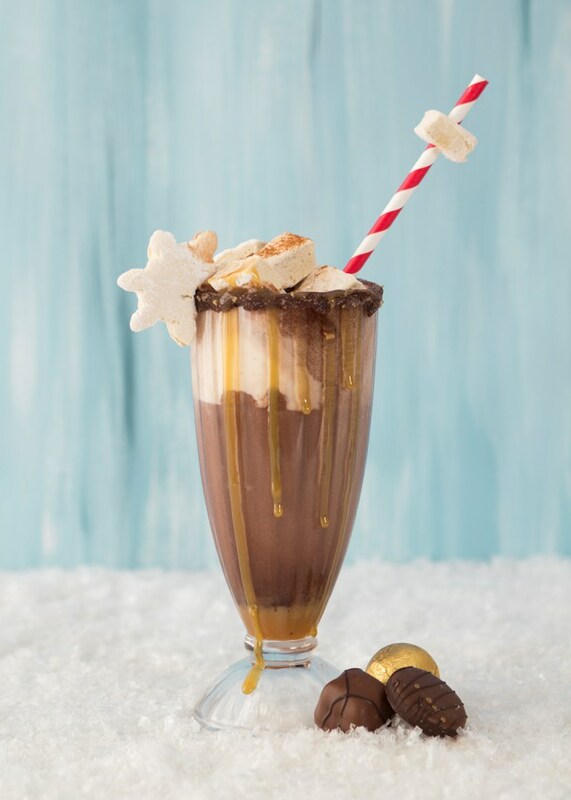 A unique twist on traditional hot chocolate, this Dark Chocolate Sea Salt Caramel Swirl Hot Chocolate Sundae recipe is made in partnership with The House That Lars Built. 1. Drizzle caramel onto the side of your mug in a swirl. 2. Pour in the rest of ingredients (excluding the ice cream). 3. Heat to desired temperature (probably a little hotter than you usually would because you’ll be adding ice cream). 4. Scoop ice cream onto hot chocolate. 5. Top with caramel marshmallows.